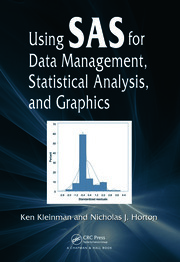 Producing High-Quality Figures Using SAS/GRAPH® and ODS Graphics Procedures gives statisticians and SAS programmers practical guidance on presenting research data in high-quality figures that meet the publication requirements of academic institutions and various industries, such as pharmaceutical companies, agricultural businesses, and financial organizations. The book provides all the details on selecting the right figure formats, options, and fonts to produce high-quality figures. 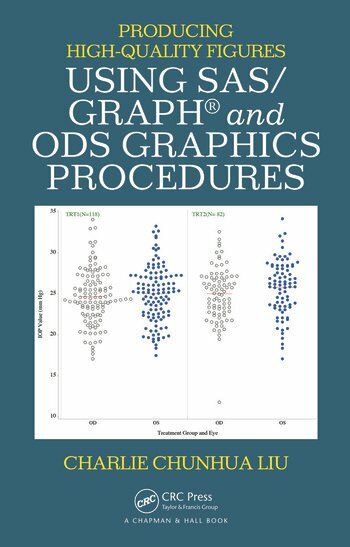 In-depth instructions and SAS programs using procedures in both SAS/GRAPH and ODS Graphics show how to generate sample figures in listing graphics formats and ODS document files. Each chapter includes practical examples and SAS programs. Readers can easily modify the SAS programs to develop high-quality figures to meet their own needs. For those unfamiliar with SAS programming and SAS Graphics, the author describes how to produce sample figures in SAS ODS Graphics designer, a convenient tool for generating figures without having to write SAS programs. 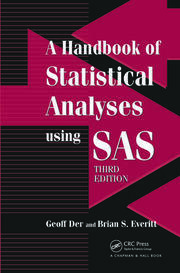 The book also discusses how to produce figures in a SAS Enterprise Guide project. Charlie Chunhua Liu, PhD, is an associate director of biostatistics at Kythera Biopharmaceuticals Inc. in Westlake Village, California. Dr. Liu has been a SAS programmer and project statistician in several research institutions and pharmaceutical companies, including the U.S. Environmental Protection Agency (EPA), the National Institute of Statistical Sciences (NISS), the Washington University School of Medicine in St. Louis, Eli Lilly and Company, and Allergan Inc. He received a PhD in crop science and a master’s in statistics from North Carolina State University. "This is a nice reference for someone wanting to go beyond the basics of graphics, especially if they want to make one of the graph types discussed. While different subject areas are represented, most examples are medical in nature." "SAS programmers looking to master SAS graphs and produce high-quality, customized plots do not need to search any more. Producing High-Quality Figures Using SAS/GRAPH® and ODS Graphics Procedures has it all hands down. By showing traditional SAS graph procedures with new SAS graph procedures, readers can benefit from the comparisons and enhancements in the new SAS graph procedures. With his many years of industry experience, the author guides us down the difficult path with many graph examples such as forest and survival plots. This book is a must for any SAS programmer wanting to take advantage of the latest SAS options to produce high-quality plots." "… very easily readable, understandable, and comprehensive for all levels of SAS experiences. … this is one of the few SAS books that is pertinent to the daily life of a SAS programmer in the pharmaceutical or biotech industry."